Kidscontests.in is starting a new section for Talented Kids – “TINY TALENTS”. This is NOT a competition. This is a platform for young kids to show their talents to the world. Have a Talented Child ? Be it in Art, Dance, Music, Sports, Games or any Special Skills. Send us a description of the achievements of your child or their skills with photographs of his / her achievements. Please send details like the name of the child, class, school, city /state, photographs of art works/crafts, other talents etc. and also a brief introduction about the kid. Kid’s photograph is not mandatory, it will be published only if the parent wishes to publish them. Get Featured in Kidscontests.in and Let the World Know the talents of the tiny tots!!! My son is 7 years old .he recites 18 thirupavai pasuram . Please let me know how to enrol and any upcoming events. If you would like to send entry to be published in Tiny Talents section, please send a link to the video / photos of your child’s performance and also a textual description about his achievements. Please see the above post for details. my kid is 7 yrs old. Her name is SANDHYA PERAKSHI .We are from Tirunelveli. She is studying in ii std in vedic vidhyashram CBSE school, Tirunelveli.She is a good orator . Pls tel a platform to exhibit her talent. 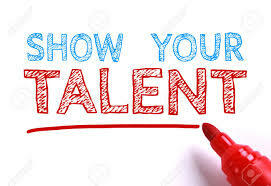 If you would like to send entry to be published in Tiny Talents section, please send a link to the video or photos of your child’s performance and also a textual description about the child’s achievements. Please see the above post for details. chennai open competition for kids on july 23rd sunday.. Please let me know about the upcoming contests for kids in chennai. last year she got Certificate of International Artwork Competitions by Semantha Bell and Look and Learn Indian Artwork competitions. Please Give more details of this contest? who is the organizer? We stay at virugambakkam, Chennai. My daughter is 4 years old. Please let me know about the upcoming contests for kids in chennai.